﻿ Book Express Inn PTY Aeropuerto Internacional Panama (Tocumen) - 2019 PRICES FROM A$55! 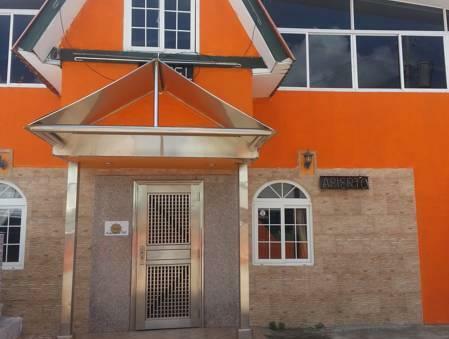 This simple hotel is located right next to Tocumen International Airport and offers guests a small outdoor swimming pool, shuttle services and free continental breakfast. Free WiFi is provided only in public areas. 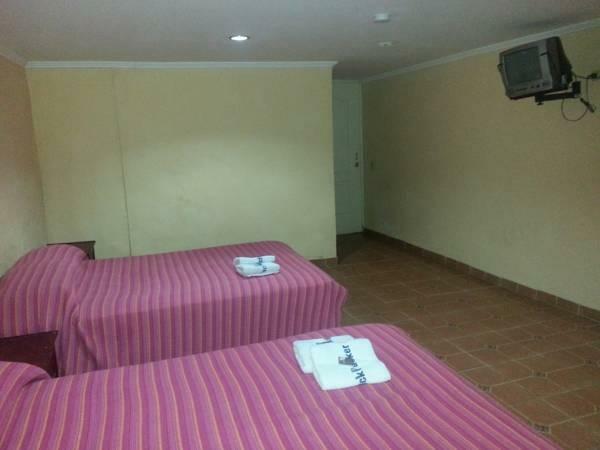 The comfortable rooms at Express Inn PTY Aeropuerto Internacional Panama come with cable TV and a private bathroom with a shower and toilet. The property has an on-site cafeteria, and guests can find other dining options at the airport. Guests at the hotel enjoy free coffee at all times. Airport transfer services are free of charge, and there is also free on-site parking. The popular Metromall shopping center is a 10-minute drive. Panama City’s city center is less than a 30-minute drive away. Guests should inform the property in advance if they plan to use its free airport shuttle service. 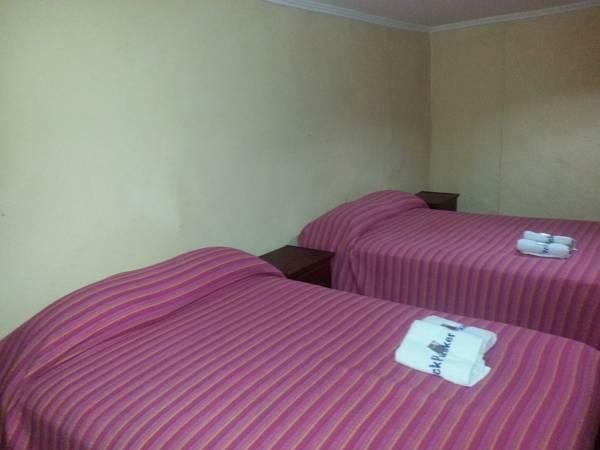 Close to the airport, free shuttle, comfortable room. Room was clean but very bare. Some pictures and a couple of end tables with lamps would be nice. The ceiling light was terrible. It is a fire trap. Some of the rooms didn't even have a window and the room we had did have a window but a foot or so away was a brick wall with about one foot of window that was free of the brick wall. If the place was on fire, don't know how people would get out. I needed to spend one night there because my flight was in the early morning and this inexpensive hotel would be perfect for this purpose. However: 1. The only food you can purchase there is their 'combo' of a sandwich and coke. Unfortunately, the sandwich came with some lively ants in it. 2. The schedule of the shuttle bus in the morning is at 4:00am and next is at 6:00am. This 2-hr break is pretty inconvenient. Anyway, I was going to use a 4 am bus. Then, all of a sudden, somebody started knocking at my door at 3:30. I did not open, but I got down to the reception at 3:50 am. At 4 am I was told that the shuttle already left BEFORE SCHEDULE and that is what the receptionist was knocking at my door about. As a result, I had to walk to the airport by my feet, because at this time they could not even arrange the taxi. Thanks God, I did not have much luggage. The Proximity to the airport, access to WiFi and reasonable price are the best things. My stay was Okay however, it would have been more comfortable if the rooms had Wifi and remote control for the TV. This is a suitable place for those spending a day or overnighting in Panama and is looking for an economic hotel rate. 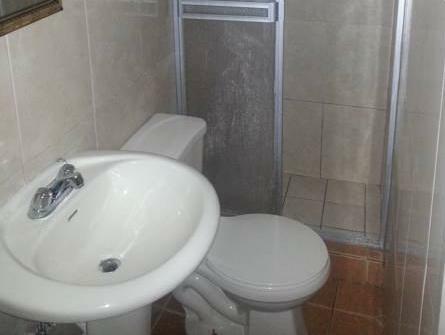 Very simple but clean and conveniently located right next to the airport. Nothing luxurious or fancy. Just a cheap place to sleep next to the airport. Shuttle and breakfast are included in the price. I have to counter some negative comments some folks have of this hotel because they seem to be expecting a 5 star hotel. It is a hotel staffed by nice people, kept clean with limited staff, and is very typical of the hotels here in Panama. It is functional, friendly, and close to the airport. The noise from the aircraft was so far in the background that I could barely hear it, and after about 10pm or so, I didn't hear anything. This hotel is located in a very typical Panamanian neighborhood, so if you want some local culture, it is a good place to be. I will definitely go back. Location, location, location. Perfect for transit. This is a rather spartan place undergoing renovations in an effort to upscale itself from a backpacker hostel (it seems to have been called Backpacker Inn in the past). Puckup at the airport took a long time, but more importantly, the shuttle back to the airport was on time and (owing to the traffic layout) took just a couple of minutes. Transport is provided by Viajes Florencia - staff is there at the airport to take care of you, distinctive orange shirts so even I could see them. Largish room that could sleep two couples, almost no decoration. Powerful new air conditioning unit. Good sleeping. Bathroom small but serviceable, water pressure bad in the evening but ok in the morning. Not much for breakfast, bread and jam, cookies, orange drink, coffee, but it did the job. The staff seemed fine - understood some English, spoke next to none, sort of the way my Spanish is, but we ended up communicating okay. Good value - I'd return if I had a layover of under 12 hours; I notice they're putting in a pool, so that might make a stay more interesting. This is great if your are coming in late and need a place verse going to the city. No elevators, no furniture except bed in room.